With the OKI ML280 Elite coming to the end of its life, OKI has introduced the new ML280eco, a compact, fast and cost-effective dot matrix printer that’s perfect for industrial and point of sale applications. Not only will you be getting the fantastic features that already exist in its predecessor, but a host of exciting upgrades. Let’s take a look! The ML280eco is a versatile and efficient printer thanks to its compact design, long life print head and flexible ribbon life. All this results in an eco-friendly and reliable device that also comes with a 3 year warranty as standard and OKI’s commitment to providing reliability and value. Dot matrix printers are durable devices that are largely used for invoicing, warehouse packing and similar tasks and use a print method not to dissimilar to a traditional typewriter. 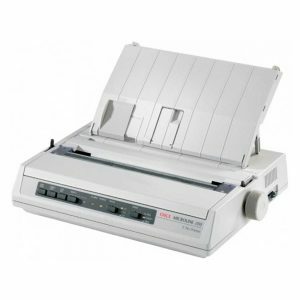 Take a more in depth look at dot matrix printers.